The ever-inscrutable Aphex Twin—the cool electro name of musician Richard D. James—has, once again, done something inscrutable. As reported by Vulture, he just released a ZIP file containing over 200 songs, which you can download for free at this link. 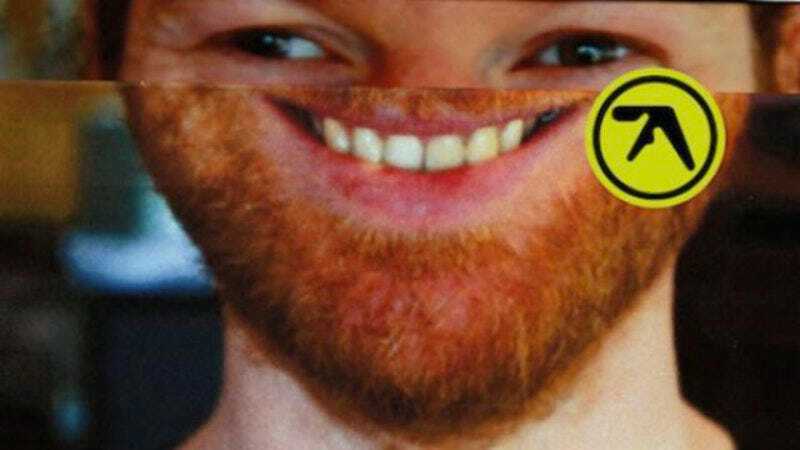 There’s also a YouTube playlist that contains 207 tracks (because kids only listen to music on YouTube these days anyway), which Vulture says was also created by Aphex Twin. There are definitely a lot of tracks in the downloaded file that are also on the YouTube playlist, but since they’re both so long and so many of the songs have names like “prncDMC” or “1.5 Dp5 Beats,” it’s hard to tell if they’re exactly the same. Figuring that out sounds like a good job for someone with a ridiculous amount of time on their hands. This all comes only a few months after Aphex Twin uploaded a bunch of unreleased tracks to Soundcloud, at least some of which seem to be the same songs uploaded to YouTube and added to this downloadable file. So these three batches of songs might all be the same, but at least now it’s easier to grab them all, burn them to at least 10 CDs, and then jam out to some electronic music in your car.